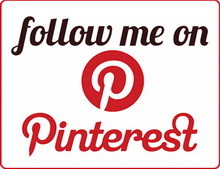 Putting a Drawstring in the California’s Waistline – Everything Your Mama Made & More! 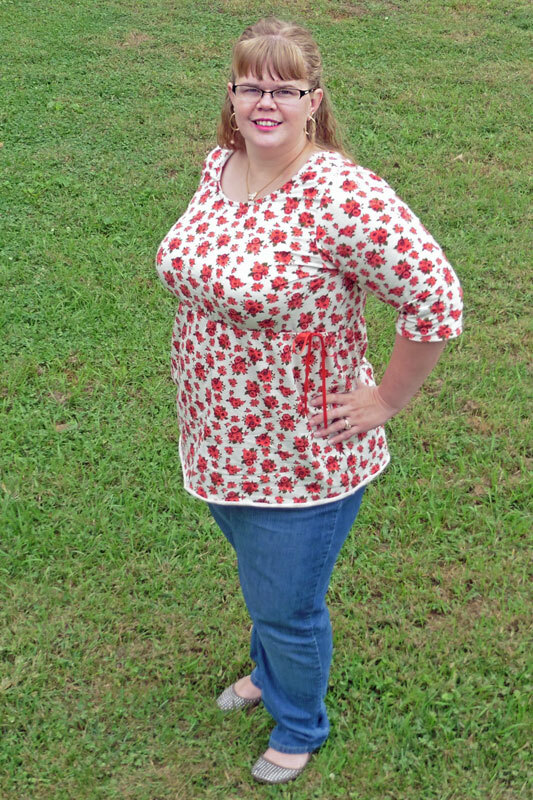 I was stitching away on my latest mash-up of the California Peplum with the Four Seasons Cardigan sleeves, when it hit me that it would be super-cute to add drawstring ties to the elastic waistline. I quickly grabbed my camera so I could show how I made this super-easy hack. 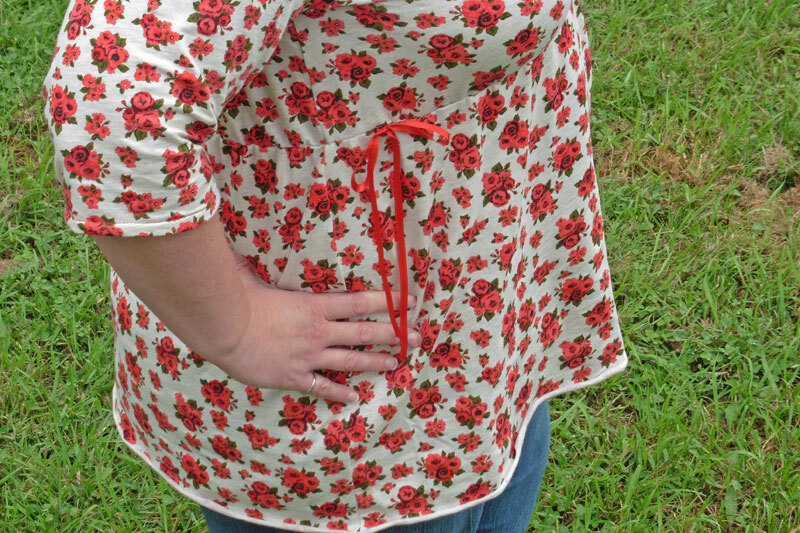 I decided to add one faux drawstring tie on each side, just in front of the side seams. I considered doing just one tie in the center front, but was afraid that it might lead to a maternity look when combined with my empire level waistline (I moved my waistline up about 3 inches from the pattern markings) … and that’s a look I’m not aiming for at this point in my life. Haha! Adding faux drawstring ties to the California’s elastic waistline is super easy, but changing it to an actual drawstring waistline would be even easier (only one set of openings and no elastic!). I chose to keep the elastic and just put in the decorative ties for two reasons. The first is that I wanted to be able to stitch the bows so they couldn’t come untied (which wouldn’t be a good idea for a full drawstring waist that would need to be untied and loosened to put on over my head/shoulders). Secondly, I wanted to retain the comfort of an elastic waistline rather than having a drawstring not stretching when I wore it. 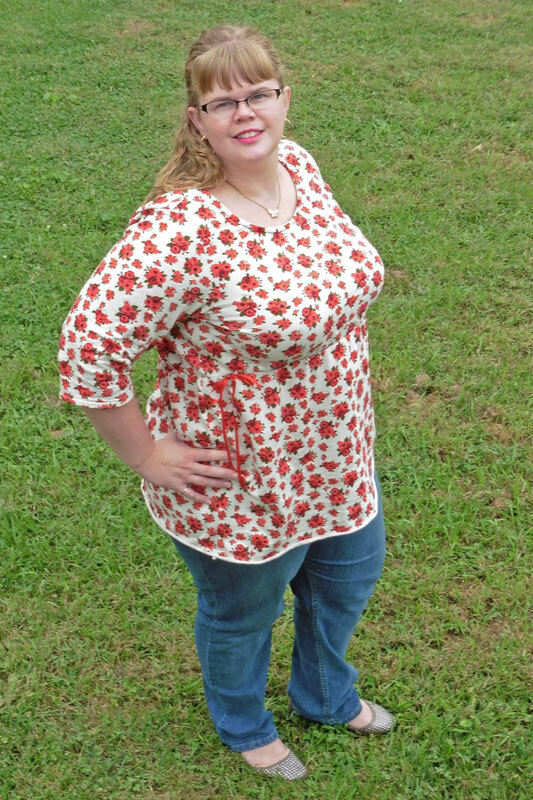 First, sew up your California Dress or Peplum as written in the pattern (or mash it with the Four Seasons Cardigan sleeves like I did this time) until you’re ready to sew the elastic waistline casing. 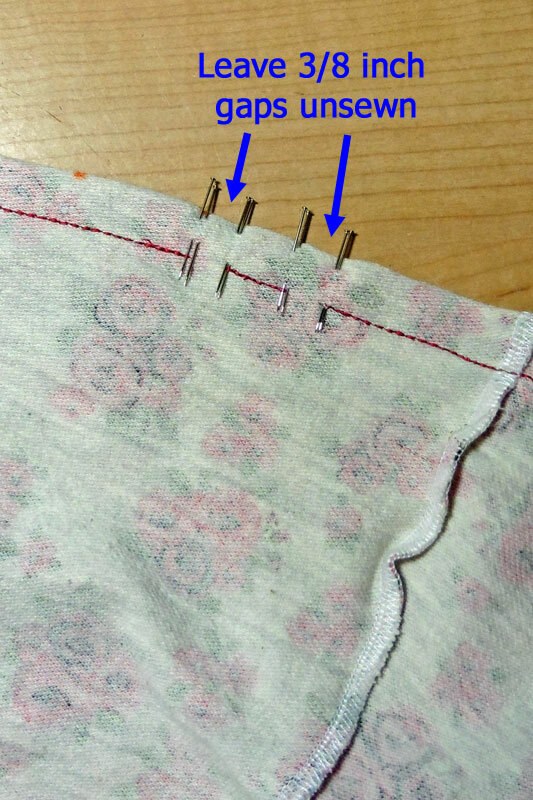 Instead of sewing the whole casing closed leaving ony one spot to thread elastic in, you’re going to leave more than one opening. I picked out a narrow 1/4 wide satin ribbon, so for each tie I left two 3/8″ gaps unsewn. If using a wider ribbon or thicker cording for your drawstring ties, you’ll want to leave gaps unsewn slightly wider than your ribbon/cord. 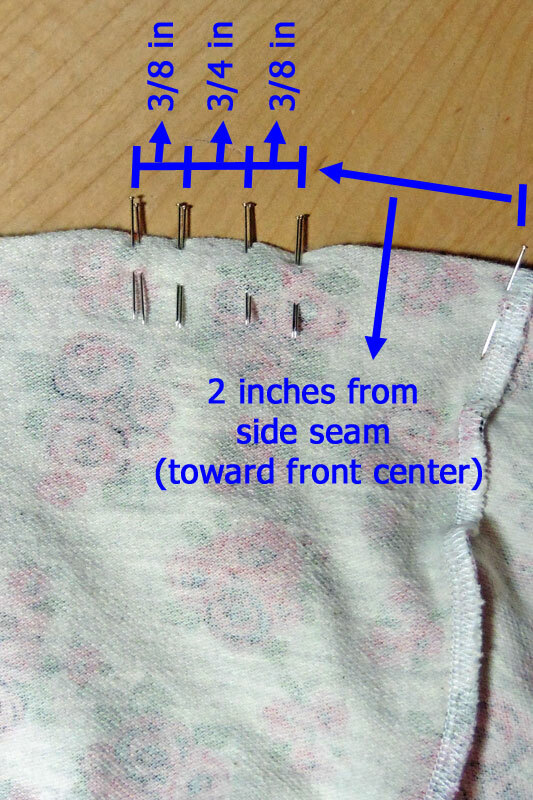 ** If you want to turn the elastic waistline into a full drawstring waist, you should only do one “set” of gaps. Then you’ll skip the elastic and thread your drawstring into the right gap and go around the waistline until it comes out the left gap, so you can tie them together when you wear your California. For my faux drawstring ties, I first threaded my elastic into the casing through one of the gaps just as in the pattern. I then threaded my ribbon into one left gap and out the right gap, tying it around the 3/4 inch sewn portion and repeated for the tie on the other side. I used approximately 30 inches of ribbon for each of my ties. Once I had the bows just as I wanted them, I put a few stitches through the middle of the bow to keep it tied and I used a lighter to heat seal the ribbon ends (by carefully melting them just a bit). I’m happy to report that my ties looked cute and stayed put while wearing all day and came out of the washer and dryer looking just as good as when I first tied them! 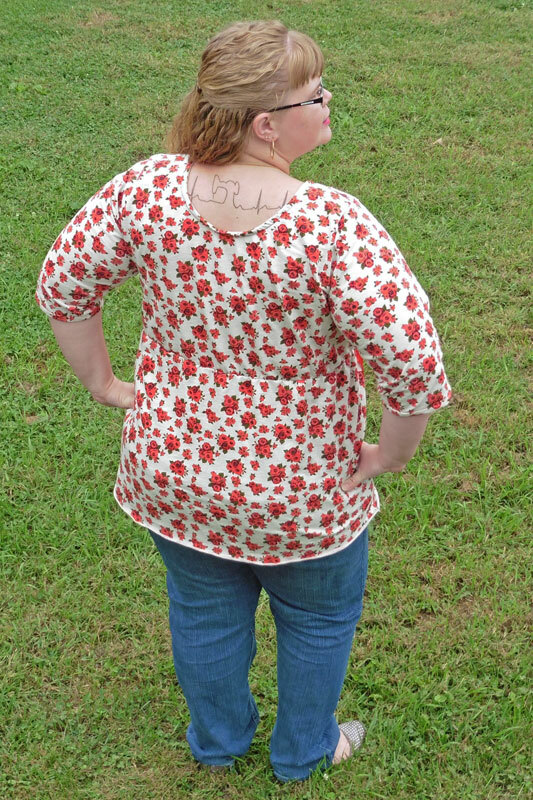 I’m excited to wear my new top as the weather cools off this fall. It was feeling quite fall-ish last week, with night temperatures falling into the 40 degree range, but tonight the low is supposed to stay up around 70*F. I’m ready for to it cool off again!